"HOTEL ABHIRAM ” was founded by Mr.SRIRAMULU SETTY (Chairman) in the year 2001. His sons Mr.P.Sreenivasa Rao and Mr.P.Kishore Kumar are the Managing Directors of the hotel, who are dedicated and diversified towards the better service and functionalities in order to deliver seamless customer service. ” HOTEL ABHIRAM ” started with at par three star hotel standards. 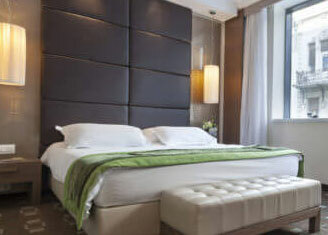 It offers well appointed rooms, for single and double occupancy, suites and Executive suites. It has been rendering its services since 10 years. Whenever one comes down to NELLORE in ANDHRA PRADESH, head to the ” HOTEL ABHIRAM ”.It warms your heart with cordial welcome and pampers you with Luxurious amenities.